There are only 7 days left and I know we can do it!! Day 23 is a fun one. 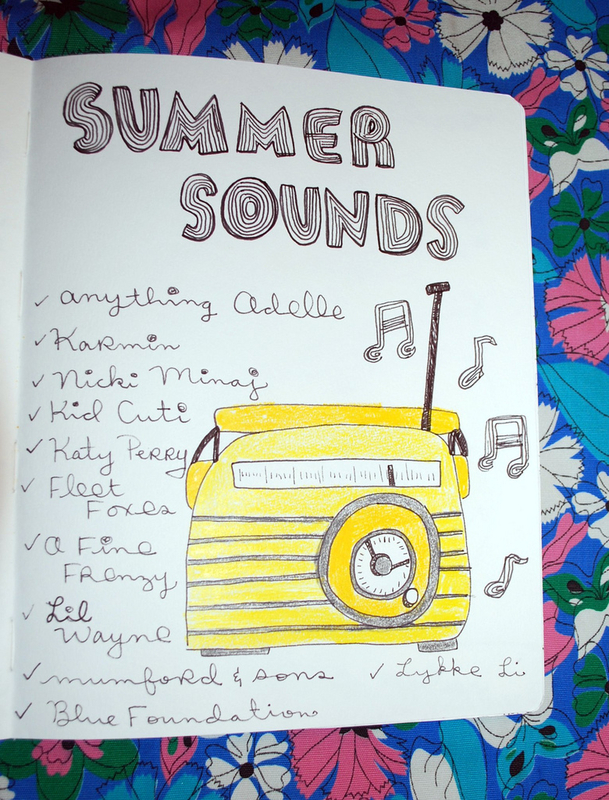 Journal Prompt: Summer Sounds! If you are like me, music is a total MUST. There are so many great blogs that post playlists regularly and I love love love finding new music through them. Today, I would like you to create your perfect Summer Playlist :) Deal? Have fun!! Be inspired by music today!! I love that you make your own cd's... i always want to but the details of it all gets my brain confuzzled, so I opt for the radio and just flip flip flip till i find something to jam out to!